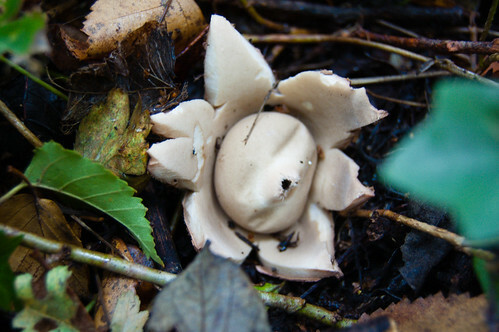 Geastrum triplex, to give it its official name, is one fungus which would be missed by someone just on the lookout for the classic toadstool shape. This one disperses its spores through the hole visible in the centre. This post, along with the harlequin ladybird and the dead man’s fingers, with thanks to the Wildside Activity Centre Fungi Foray, led by Sue Shanks.